* "Readers are in for a delightful romp with this award-winning debut from a British author who dances in the footsteps of P.L. Travers and Roald Dahl." * "Rowling's wonderful ability to put a fantastic spin on sports, student rivalry, and eccentric faculty contributes to the humor, charm, and, well, delight of her utterly captivating story." * "Harry himself is the perfect confused and unassuming hero, whom trouble follows like a wizard's familiar. 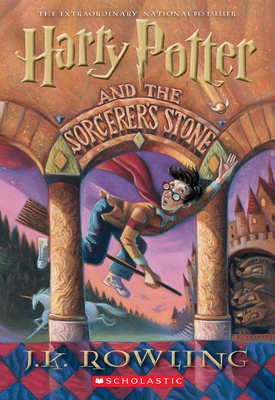 After reading this entrancing fantasy, readers will be convinced that they, too, could take the train to Hogwarts School, if only they could find Platform Nine and Three Quarters at the King's Cross Station."